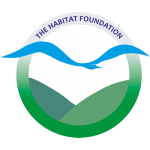 The Habitat Foundation is a not-for-profit organisation. The foundation aims for communities where humans and viable populations of animals and plants live together in harmony. It supports organizations and people working on research, management and conservation of plants and animals and their habitats, taking into account the wellbeing of humans. After all, we share the same world. The European Mammal Foundation (formerly Societas Europaea Mammalogica – SEM) was founded in 1988 with the purpose to produce a distribution atlas of the mammals in Europe. The atlas was finally published in 1999 and is now widely used as a reference work. Work for an update of the atlas started in 2017. The Dutch Mammal Society is an independent, non-governmental organisation. We seek to bring together all those doing research on wild mammals and their habitats as well as those engaged in their conservation. Our work is carried out by volunteers and the staff of the office in Nijmegen. Vilda still- and motion productions provided most of the pictures used for this website. Gloria Angelova designed the logo of the campaign ‘Discover the mammals of Europe’.